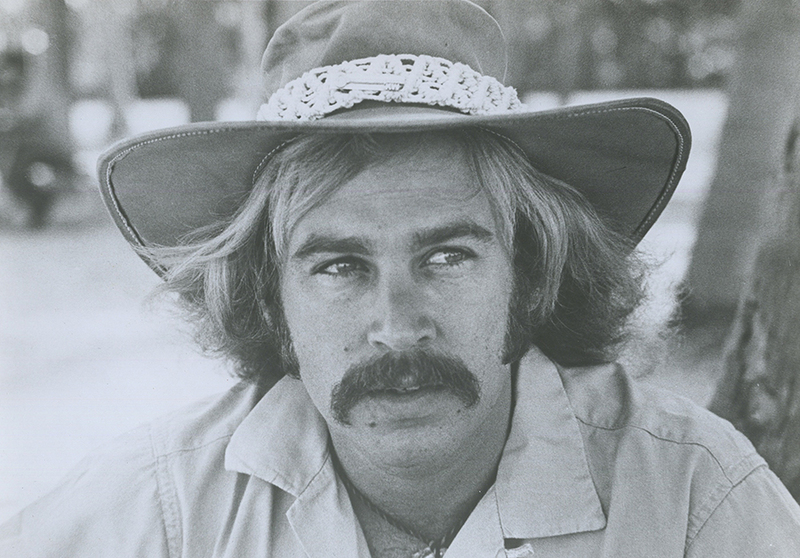 Raised in Alabama, Jimmy Buffett had never seen the mountains until a friend from Colorado’s Timberline Rose turned him on to the Rockies. Dressed in Levis and a cowboy shirt, his hair long, Buffett carried his two Martin guitars from the small coffeehouses to college campuses. There, with a distinctive southern-flavored accent, he entertained. “No flashing diamond rings, no skin-tight tuxedo, no Las Vegas marquees”—just sharing an honest talent with his audiences. “I lived in a little sleazy hotel in metropolitan Denver, and then I went to the mountains, as everybody has done—up to Evergreen, Bailey, then Breckenridge where I did the summer mountain circuit, having a glorious time. I wound up the tour in downtown Pueblo, not known as the most beautiful spot in Colorado. But seeing every side of Colorado eventually led to me settling there for a while. The song became Buffett’s first hit single in 1974. The song “A Mile High in Denver” appeared on Buffett’s Before the Beach album.